I finished my October Shawl on the first of December. The Nae pattern was a delight to knit up. My sister questioned whether all that stockinette would be boring, well I found it captivating (as long as I was watching TV or talking to someone). I might knit this pattern up again with a tonal yarn. It seems that my yarn purchasing habits have changed over the years and short color changes are not what I am interested in anymore, maybe big chunks of color changes. I wore this all day yesterday and the bamboo content is wonderful. There's a bit of sheen and a lovely soft drape-iness that is perfection. This shawl can easily be a multi seasonal wear. Love that. My only modifications were to not increase to 100 stitches in the stockinette area for fear of not having enough yarn and doubling the seed stitch area in the middle. Beautiful shawl! I love the colors! So lovely, Karen. 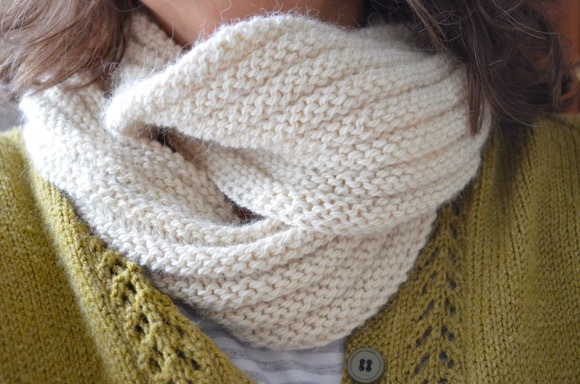 The yarn and pattern are perfect together. So pretty Karen! I do love those autumnal colours! That is really pretty....the color is great! 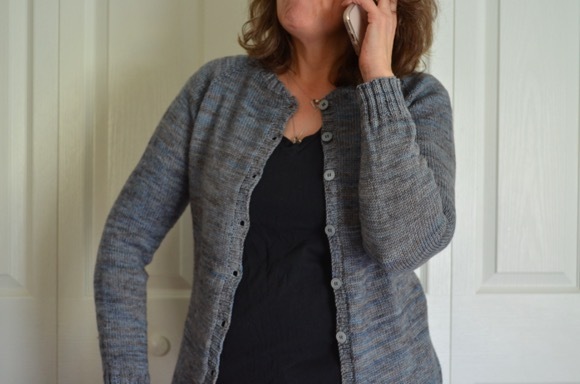 That's real pretty Karen - as is everything you knit! I think it would look lovely in a tonal yarn. I think a lot of us have gotten away from the shorter color changes. Gradients are my absolute favorites lately. I love those colors too. Looks beautiful! I have only ever knitted a scarf. I didn't understand a word of that last paragraph! But your knitting is beautiful and I do understand the satisfaction in a project completed. That's very pretty. I like simple classic designs. Very pretty. I love the simple look of it, and the color! That turned out absolutely lovely. When I read, "bamboo ..." I thought, oh yes, what lovely drape that must have. I feel like it's always nice to have an easy and/or stockinette pattern on the needles for couch / family/ t.v. knitting. Pretty! I think it's nice to have a fairly easy project that you can do while watching a show--I have some that require my full attention, and I always make mistakes when I watch a show while working on them! I love your shawl and what beautiful colors! Mmmm, that looks so silky soft. You are such a prolific knitter. I'm always amazed at how fast you move through projects! Nice! Love the color play.